In order to get the results that you want for your window treatments, it starts with finding the right expert to work with. Wise locals know that Sweet Shutters and Shades goes above and beyond, when it comes to getting optimal results. Our job is to get you the perfect shutters, shades or window blinds; our goal is to do so in a manner that exceeds your expectations. We offer the best when it comes to products, workmanship and customer care. There is no reason for you to have to select between quality results and affordable pricing. By partnering with us, you get the best of both worlds. 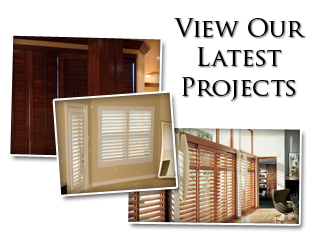 We want to be your go to shutter company for Fort Mill window treatments. Trying to decide if shutters are the right choice for you? It makes sense to want to know more about your options. This is what a smart homeowner does. Shutters offer an additional layer of insulation and this helps with the temperature control of your home. By opting for shutters, you reduce the operational costs of your heating and cooling each month. Plus, enhanced energy efficiency means more environmental responsibility. Shutters are ideal for increasing the property value of your home. You can view this as a wise financial investment as opposed to a frivolous cost. Shutters are also a great window treatment choice if you or anyone in your household struggles with respiratory related health issues. Asthma and especially allergies can be triggered by dust, which collects on fabrics and carpet fibers. Shutters are easy to wipe off and not likely to trap contaminants. 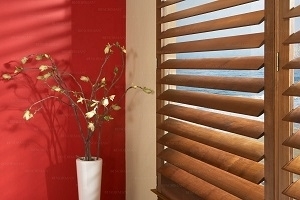 Don't forget, Sweet Shutters and Shades can also provide you with the window blinds you may need, as well. The choice you make will impact the interior design aesthetics and the exterior curb appeal, so choose accordingly. One thing that we can promise is that you will love the final look that we are able to create for you. 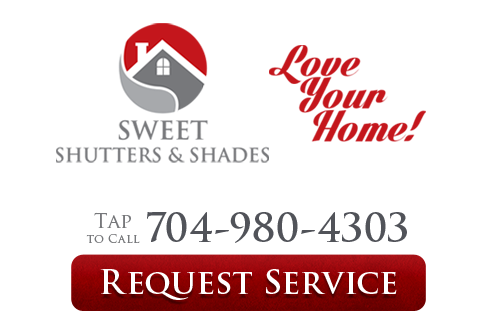 If you are looking for an experienced Fort Mill shutters or window blinds professional then please call 704-980-4303 or complete our online request form.